How was Gloucester affected by the Fred West murders? 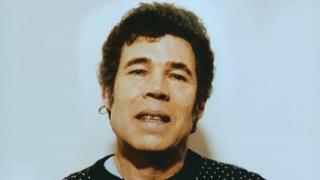 It is a quarter of a century since Fred West confessed to killing his daughter Heather. It came as police began to search 25 Cromwell Street, Gloucester, where they would go on to find the bodies of nine girls and young women. West and his wife Rosemary's crimes shocked the world, and brought unwelcome attention to the city. A special edition of BBC Inside Out West asks some of those involved in the case what impact the murders had. "It certainly left a mark on the constabulary, because I think of the nature of the crimes, the brutality of these murders, and the number of them," says Tony Butler, who was chief constable of Gloucestershire Police during the investigation. "This was a case of young women; their lives were just snuffed out. "The night that we arrested Fred, the TV crews were in Cromwell Street and I remember on the Points West news, neighbours saying: "No no, the police have got this all wrong. Fred and Rose, lovely family couple, lovely family people. And they clearly weren't. "There's a lot of memories there, but I suppose the one that stands out perhaps mostly was when I was at Winchester Crown Court when the jury were coming back into court to give their verdict. "I watched Rose - nothing, absolutely no expression at all. And that really is a very strong memory for me. "It's difficult to say it's a better place for it, but there were some good things that came out of it. "But it will heal and I think it does need to drift into the background now." Image caption Canon Adrian Slade says grief and anger "penetrated into the whole city"
"There was a lot of grief, a lot of feeling of we should have known," says Canon Adrian Slade, from the Diocese of Gloucester, who worked with the community in the aftermath of the crimes. "And I think a lot of people were anxious that what happened with Fred West and Rosemary was something they should have been on top of. "And I think that feeling of grief and anger and sadness penetrated into the whole city. I think the city was deeply traumatised. "I'm not a psychologist, but if a city or a group of people or individuals have suffered trauma you sometimes have to go back and talk people through that trauma. "And I think when you talk to people in Gloucester they still self-identify as a city where the West case occurred. "I think Gloucester went through a period of mourning. And I think it's got through it. I think it's come out the other side. "Gloucester is a nice place to be, on the whole." Image caption Dame Janet Trotter says the case led to multi-agency working becoming "more joined up"
"What do you do in this place where unspeakable horror has taken place?," asks Dame Janet Trotter, the former Lord Lieutenant of Gloucestershire. "Some places have a museum, but here they totally knocked the house down, they've made some gardens. "And I suppose I had rather thought there might be something else that would have been more a statement of healing of what this was about, and a reflection by the city. "I think the reflection that I have on this, and another bit of the legacy, is that most of the public services were actually operating in silos. "So you got the [West] children going to school, not doing PE because they would have had bruises in various parts of their body - they were turning up at emergency departments, there was the police, and none of these came together to share information. "I think one of the really good things is that all of those services under safeguarding arrangements are now more joined up. "Every city has got dark shadows, every family has got dark shadows, every person's got dark shadows. "So each of us has a responsibility to look out for our children, our community's children. And that's one of the things that all of us must be active in doing." The special edition of BBC Inside Out West can be seen on BBC One in the West and South regions at 19:30 BST on Monday 25 February, and afterwards on the BBC iPlayer.